The SpectraMax® iD5 Multi-Mode Microplate Reader is the complete laboratory solution to help you increase your research capabilities and comes with built-in absorbance, fluorescence, luminescence, time-resolved fluorescence (TRF), and tunable fluorescence polarization (FP) read modes. In addition, the SpectraMax iD5 can be expanded to include bottom-read luminescence, TR-FRET, HTRF®, BRET, dual luciferase reporter assays with injectors, and western blot detection. With optimized reagents and the industry-leading data acquisition and analysis tool SoftMax® Pro 7 Software, the SpectraMax iD5 is your all access pass to helping you unleash your brilliance. Using built-in near-field communication (NFC) tags, the SpectraMax iD5 plate reader automatically detects the identification code of the filter to recognize the slide and filter configuration, eliminating confusion and simplifying your filter workflow. Protein detection is an important task for pharmaceutical and clinical research, and Western Blots are one of the most common methods employed for this purpose. The SpectraMax iD5 plate reader, utilizing an optional enhanced TRF detection module, is capable of scanning and analyzing your membranes for western blot data. The Europium-incubated membranes are resistant to photo bleaching and allow you to read the membranes without loss of signal for longer periods. Detect assay signal the best way using the hybrid monochromator- and filter-based optical system. Reduce the amount of time you spend collecting data and increase your productivity. The SpectraMax iD5 reader allows you to interact with your data any way you want from anywhere you want. View your data quickly using the large touchscreen interface, export your data to a USB drive for analysis in the program of your choice, or analyze your data using the industry’s leading data acquisition and analysis tool, SoftMax Pro 7 Software. 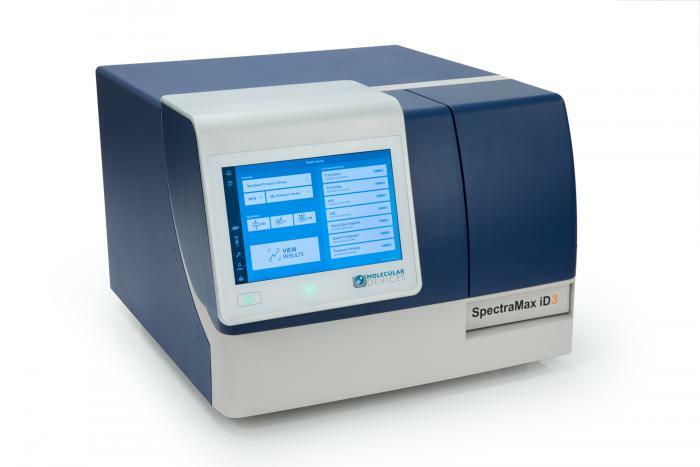 The SpectraMax iD5 reader also features network connectivity that allows you to walk away from the instrument to focus on additional research. Data is automatically delivered to any workstation on the same network, eliminating the need to physically retrieve data from the instrument. The innovative SpectraMax iD5 is the first five mode microplate reader featuring near-field communication (NFC) technology for touchscreen personalization, user acess control, and filter identification. Simple-to-use temperature control allows you to adjust your experiment’s conditions from ambient up to 66°C, expanding your laboratory’s capabilities to include temperature sensitive assays. The SpectraMax iD5 plate reader is injector-ready allowing you to expand your lab’s capabilities to include flash applications such as dual luciferase and ATP assays. The SpectraMax Injector System with SmartInject™ Technology features low dead volume (10 μL), overflow protection, and ensures equal mixing across the plate for high-precision experiments. An ATP standard curve spanning five decades was run using the ATPlite 1step Luminescence Assay System (PerkinElmer) on the SpectraMax iD5 reader. Standard concentrations ranged from 1x10-11 M to 1x10-6 M. A wide linear dynamic range ensures accurate assay results across a broad span of sample types. Standards were plotted using a log-log curve fit in SoftMax Pro Software. The SpectraMax iD5 reader is fully compatible with the SpectraDrop Micro-Volume Microplate, enabling quantitation of precious lowvolume samples. 4-uL DNA standards from 2 ng/μL to 1000 ng/ μL were read in absorbance detection mode with a preconfigured protocol in SoftMax Pro Software. 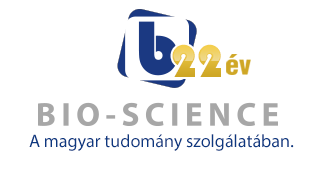 Performance matching the 2 ng/μL sensitivity specification is demonstrated here. For > 66°C, minimum 25°C ambient temperature is required. 10 msec integration time for fluoresence measurement. 100 msec integration time for luminescence for a 96-well plate and 40 msec integration time for a 384-well plate. The SpectraMax iD5 is a hybrid monochromator- and filter-based, five-mode microplate reader that allows you to expand the boundaries of your research to include a wide variety of applications. Five-mode microplate reader with automatic filter identification and western blot capability The SpectraMax® iD5 Multi-Mode Microplate Reader is the complete laboratory solution to help you increase your research capabilities and comes with built-in absorbance, fluorescence, luminescence, time-resolved fluorescence (TRF), and tunable fluorescence polarization (FP) read modes. In addition, the SpectraMax iD5 reader can be expanded to include bottom-read luminescence, TR-FRET, HTRF®, BRET, dual luciferase reporter assays with injectors, and western blot detection. With optimized reagents and the industry-leading data acquisition and analysis tool, SoftMax® Pro 7 Software, the SpectraMax iD5 reader is your all access pass to helping you unleash your brilliance. Traditional ELISA methods using the horseradish peroxidase (HRP) substrate 3,3’,5,5’- tetramethylbenzidine (TMB) often fail to detect low abundance analytes, such as inflammatory cytokines. The Sword ELISA Booster, a next-generation ELISA detection technology that directly replaces the detection reagents in a traditional, gold-standard ELISA, increases sensitivity up to 30 fold. This enhanced assay allows you to detect lower levels of these cytokines and advance your understanding of diseases associated with these mediators of inflammation. Here, we demonstrate how three SpectraMax® microplate readers we tested met the criteria for sensitivity outlined for the Sword ELISA Boosters. Reporter genes are valuable tools for studying gene expression, serving as surrogates for genes involved in various signaling pathways and disease conditions. Luciferases are the most common reporter genes, as they are easily detectable using luminometers or luminescence microplate readers, and the low luminescent background present in cells enables high assay sensitivity. Firefly luciferase is typically used as a readout for expression of a gene of interest. Luciferase from the sea pansy Renilla reniformis is often used in multiplexed luciferase assays as a second reporter to normalize for transfection efficiency, cell viability, and other factors that may vary among assay samples. Here we show how the DuoLuc reporter assay and SpectraMax iD5 reader are used to detect nuclear factor-κB (NF-κB) activation in a mammalian cell model. NF-κB is a ‘master regulator’ of gene expression for many cellular processes including inflammation, immunity, differentiation, proliferation, and apoptosis.